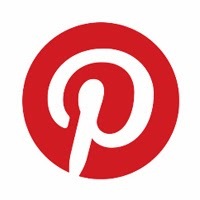 Looking for a quick and easy indoor photography idea? 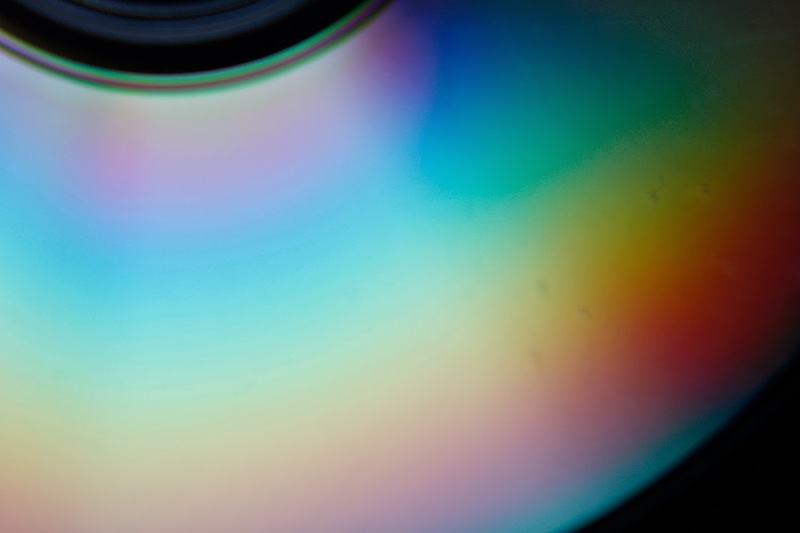 Look no further than that stack of old CDs or DVDs you have lying around. Just add water, and you have a fun and interesting photography project ready to go. 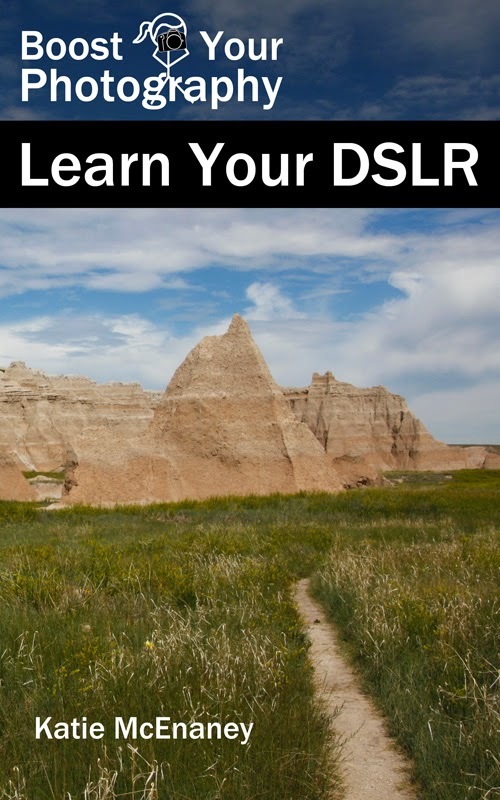 This is an excellent opportunity to practice your macro and close-up photography skills as well. 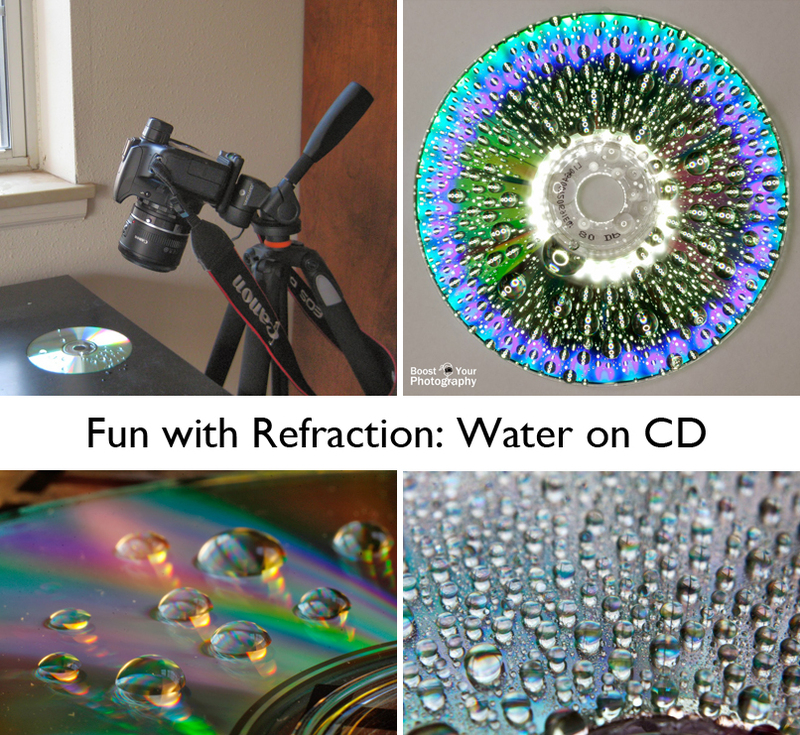 Adding water to a CD takes your photographic options to a new level. Each water drop will further refract the light and create miniature patterns of light, color, and pattern that are repeated in each drop. Find a location near a window with good natural light. You want the full spectrum of sunlight to play with for this kind of shot. You do not need direct sunlight, as strong indirect light will also work well. 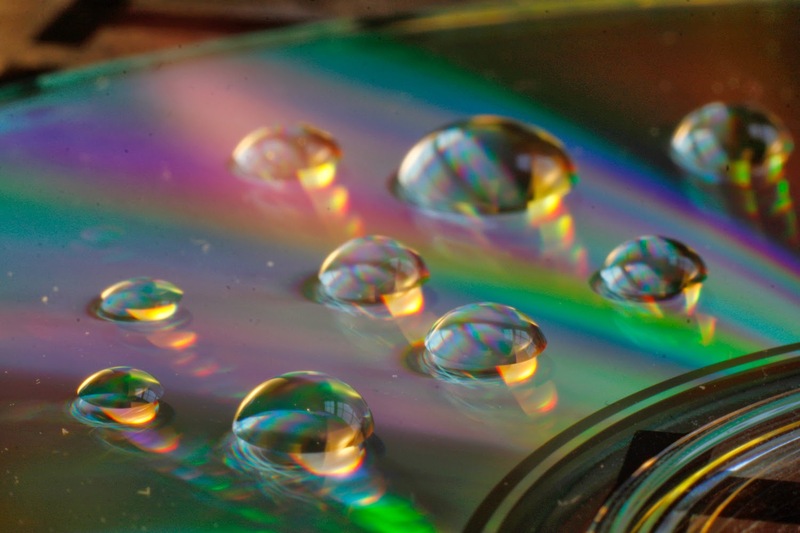 The easiest way to add water to a CD is to use a spray bottle. 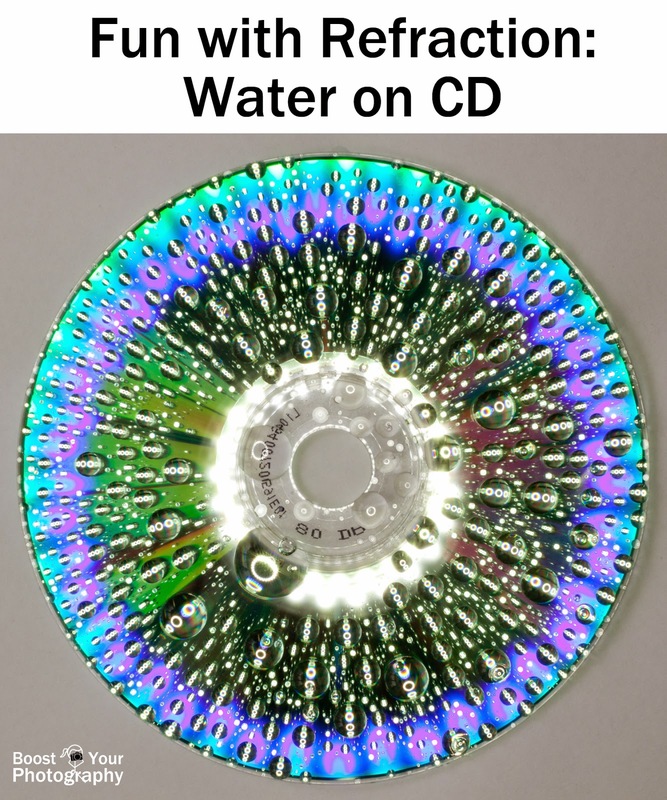 Turn the sprayer to mist and spray the CD several times. (The more water you spray, the more water will bead up together and create larger drops.) You may want to let the water sit few minutes to see if it agglomerates any more. I recommend using a tripod, especially if you are shooting close-up or macro views. A tripod will allow you to shoot at an aperture of f/22 for maximum depth of field. I like trying to keep all my drops in-focus for this kind of shot, but you can also experiment to see what results you prefer. 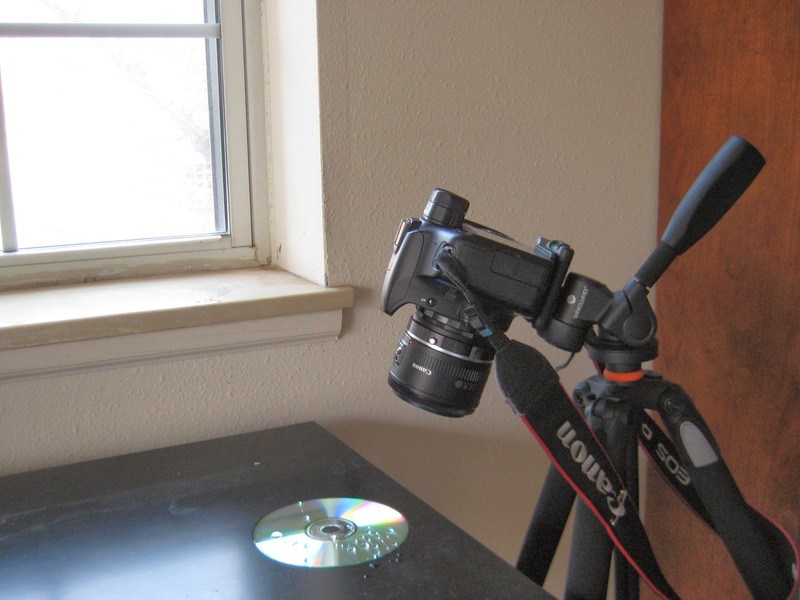 Different angles between the CD, the light, and the camera will give different results. 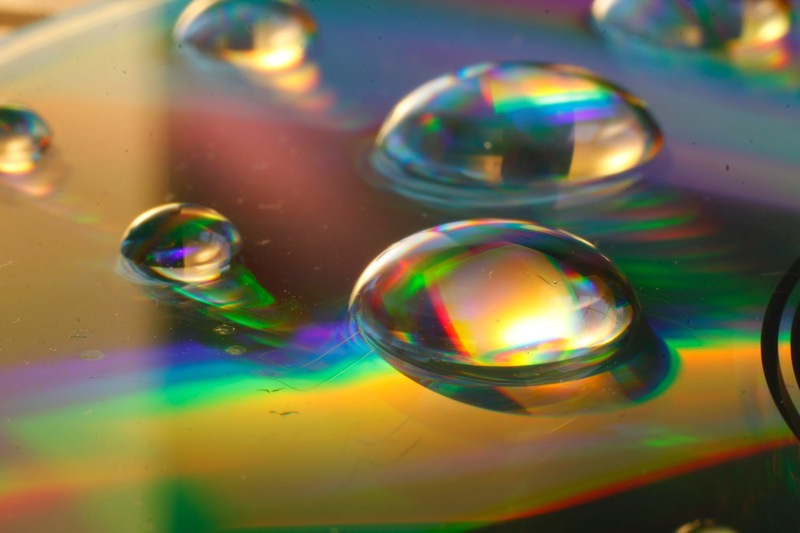 Also pay attention to the colors and patterns that are reflected and refracted in the droplets. In the photograph above, you can see the rectangular lines and patterns of the window in each droplet. 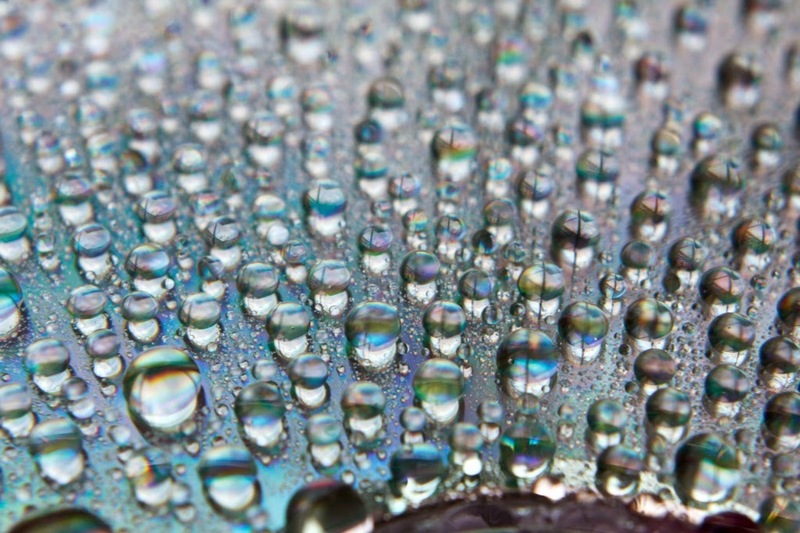 The addition of the 14 mm extension tube to the 7 mm extension tube allowed me to shoot a much closer-in composition of the water droplets, featuring a single droplet and rainbow. I experimented with several angles and directions for the light in order to get the most color and rainbow variety in a single shot. Go all out and have fun with it! Curious about the image at the top of the article? That one was taken using a ring flash mounted on the front of the camera lens. 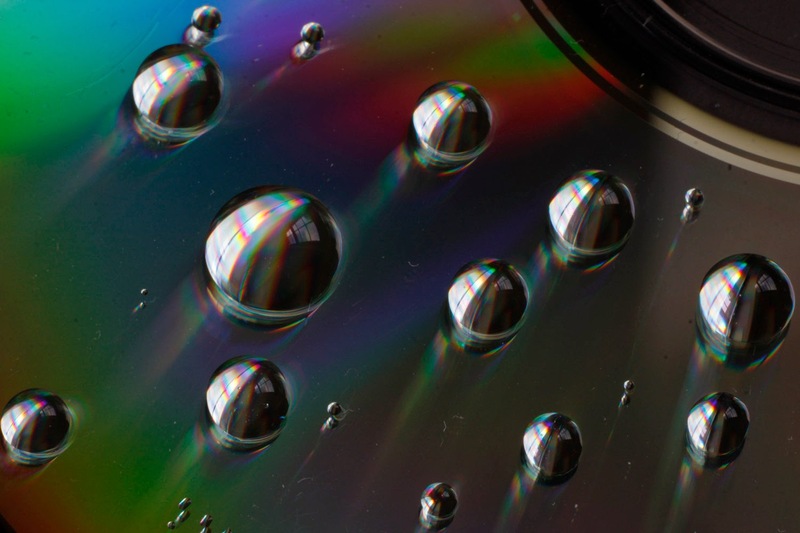 All of those bright lights and circles are reflections of the light from the ring flash across each of the individual drops and their curving surfaces.